These words are dear to my spirit . . . “choose life.” Yet as I read the passage this time around, I realize that the choice laid out is not nearly as simple as it seems. Distinguishing life from death should be easy. But it’s not. Moving away from curse and into blessing should be our natural tendency. But it’s not. 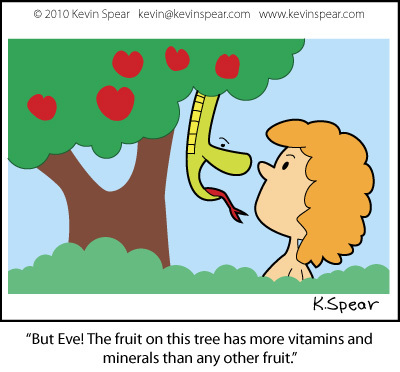 It strikes me that, in the Garden of Eden, what the serpent really did was to confuse Eve. He did not convince her to consciously choose death over life. He tricked her into thinking that disobeying God would give her more abundant life. Eve did not choose to be cursed with shame, with pain in childbirth. The serpent spoke only of the blessing that would come from eating the fruit. “Choose life.” It sounds easy enough. But we live in a world where there are serpents behind every tree, trying to sell us products, philosophies, political agendas, lifestyles that they say will lead us toward life. So we buy the new car, vote the party line, attend the self-help seminars. And then the serpent slithers away and we look around to find we have been moving in the wrong direction. Or maybe just walking in circles. “Well,” I said, “politically, yes.” What I didn’t tell her is that outside the realm of political-speak, I am most definitely pro-life. What I want to do is choose life. I want to choose life for myself. I want to work with God to create a world where each person is able to choose life. Life for infants. Life for prisoners. Life for soldiers. Life for creation. The line between life and death, between yes and no, is often fuzzy for me. But God’s words in Deuteronomy, Jesus’ words in the Sermon, begin to illuminate a path. Thank you so much! I may be borrowing heavily from your thoughts, if that’s ok. It has gotten me to thinking that maybe the followers of Paul thought he had the words of life and the followers of Apollos thought he had the words of life, both forgetting that it is God who has the words of life (or Word of Life). It just ties in the Epistle reading, 1 Cor. 3:1-9. I hadn’t thought of the epistle connection–haven’t been working much with that text. Hope your sermon-writing is going well. “Choose life” reminds me of “choose health”, both of which I need to do more consciously. Welcome to RevGals! Thanks for the welcome, Jan.